Potty training can be a tough experience for children and parents alike, but the good news is that it doesn’t have to be. Some children can master the art of using the potty within a few short days. However other children can struggle with potty training for a few months. According to health experts, the younger your child is when you start to potty train them, the longer the process can take. Therefore, you have a better chance of success if you develop a plan of action to make the transition from nappies to potties as easy as possible for your little one. Here are a few helpful tips to get you started. Make sure your child is ready: When your child is about a year old, they will be able to recognise that they have a full bladder and that they need to go to the bathroom in order to relieve the feeling. However, many parents wait until their child is around two years old before they begin. You usually know that your child is ready to learn when they have “dry” periods of at least two hours during their naps, when they can pull their pants up and down, when they hate the feeling of wearing a dirty or wet nappy and when they start telling you that they need to go to the bathroom. 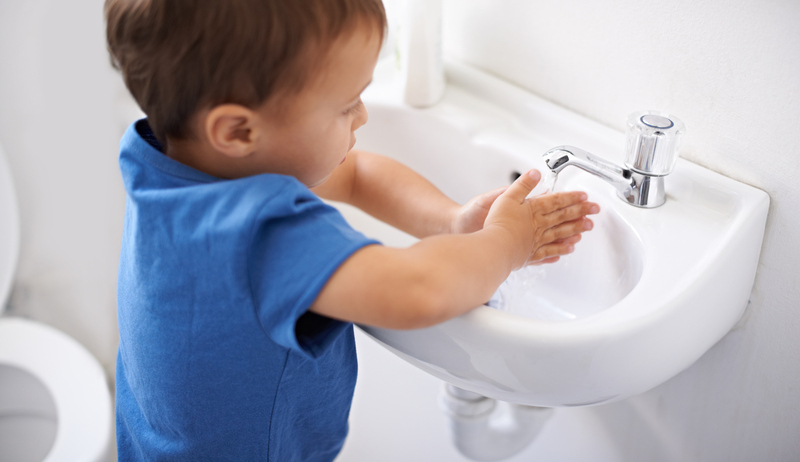 Make sure you are ready: Make sure you have the time and the patience to teach your toddler how to use the bathroom. There is no point in start the process if you are too overwhelmed at work or if you’re in the middle of renovating your home. Potty training requires patience, time and understanding. Buy the right equipment: Experts recommend buying a child-size potty or a seat that adapts to the regular toilet. This can help to ease any anxiety your child may feel about using the “grown-up toilet.” Do some research before you buy to help you decide what the best kind of potty is for your child. Bring your child with you and ask them what kind of potty they’d like – this will help them to feel like it’s a “special” present for them. Routine is key: Sit your child on their potty at various times throughout the day, like after breakfast, after lunch and before bed. This will help your child to get used to the potty and accept it. Try and make the experience as normal as possible – explain to your toddler that this is what you do every day and that it’s a natural thing. Explain the process: Make sure you explain to your child the importance of using the toilet and that they understand the connection between having a bowel movement and using the toilet. Buy them a few books to help them understand. Keep a book in the bathroom and go through it with your toddler. Encourage your child: Whenever your child feels the urge to use the bathroom, encourage them to sit on their potty. If they need help, make sure they know that they can ask you. Ask your child regularly if they want to try to use the potty. Never force them: The worst thing you can do is to force your child to sit on the potty when they don’t want to. Remember, toilet training can be a traumatic experience for a child, so it’s important to do things on their own time.